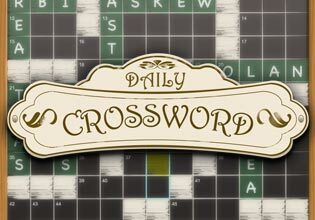 Take on the ultimate clue-solving test in iWin's original Daily Crossword! Fill in the grid by using the Across and Down hints and earn points for correctly solving words as fast as you can! Each game has a Bonus Clue worth triple points, and solving a puzzle without making any mistakes awards a Perfect Bonus!